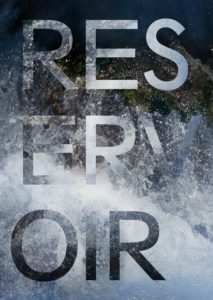 RESERVOIR is an interdisciplinary publication on water and memory edited by Regina Hügli in June 2016. It includes interviews with scientists and a catalogue of artistic contributions. Contributions by Lachlan Lox Blair, Angélica Castelló, Regina Hügli, Barbara Anna Husar, Svenja Plaas, Daniel Spoerri, Aline Weyel, Yonghui Yi. Interviews by Astrid Kuffner and Mathias Plüss with Brigitte Borchardt-Birbaumer, Douwe Draaisma, Gerit Götzenbrucker, Hans-Peter Nachtnebel, Gerald Pollack, Elisabeth Stögmann. Texts by Regina Hügli and Anton Hügli.